Be the first to hear about their new releases and deals. Download the Booksprout app and search for A. Claire Everward today! A. Claire Everward is a suspense author with a love of knowledge and a lively imagination that made writing the natural thing for her to do. 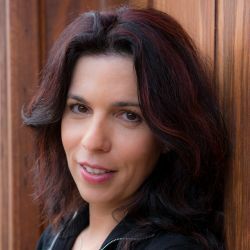 She is the author of The First, the Oracle suspense series and the newly released Blackwell romantic suspense series and is currently working on her next book in the Oracle series with the help of her two hyperactive cats and a laptop named Stanley Jr.